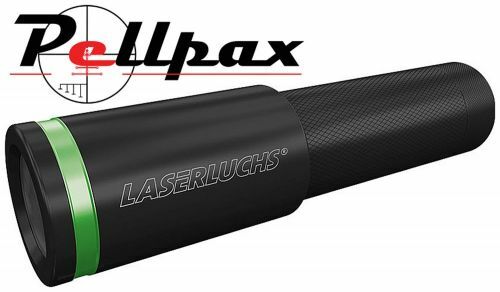 Ideal for hunting or animal watching the 50mW Pro from LaserLuchs has a high, 980nm wavelength. The small beam angle of 1.5° gives the beam a width of 2.5m at a distance of 100 meters. Overall the 50mW laser aids the image of night vision device in difficult lighting conditions. This laser can be attached to your night vision weaver rail using a mount and focused in allowing accurate shooting in minimal light. You can focus it to a spot for long range shots or have it on a wide flood beam for spotting targets.